Do you dream of walking the aisle to a live performance of your special entrance song ? 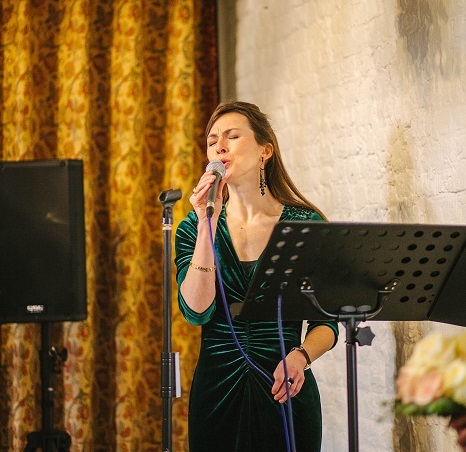 With many years of experience singing at Church and Civil Weddings you can be confident that Emma will make that dream a reality and capture the very special moments of your Marriage Ceremony forevermore through your favourite songs. Also available to sing at the Wedding Drinks Reception or Wedding Breakfast and has a repertoire of songs suitable for providing background musical entertainment at Anniversary parties and Valentines events, together with special ceremonies such as Christenings and Funerals. Biography & Experience of Note ! Singing has been Emma’s passion since she was a young girl, starting as a soloist in school choirs and musical productions. In 1997 at the age of 16 she was awarded Runner-Up position in the prestigious BBC Radio 2 Choir Girl Of The Year Competition (see Gallery) judged by Sir Harry Secombe and Henry Kelly. It was in this competition that she had the pleasure of meeting and successfully competing against Katherine Jenkins (OBE). This achievement opened up a coveted opportunity for Emma to become a member of The National Youth Choir Of Great Britain, which she sang with for five years including the South Pacific World Tour (see Gallery) performing in some magnificent venues in Cape Town and Port Elizabeth-South Africa, Perth and Cairns-Australia, Auckland and Christchurch-New Zealand, Hawaii and California-USA. Emma’s formal training at the world-renowned Italia Conti Academy Of Theatre Arts in London diversified her style of singing from choral and classical repertoires with intensive training for musical theatre and pop, gaining a Diploma in Performing Arts. The demanding tuition at Italia Conti also developed Emma’s love of dance. 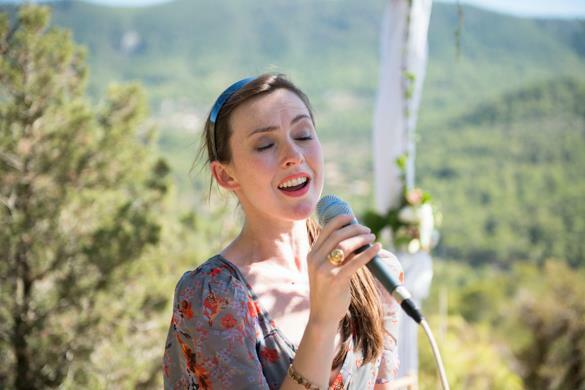 With many invitations over the years to sing at the Weddings of family and friends, then friends of friends, it was a natural progression for Emma to pursue it further and set up her Wedding Singing business. Interest and bookings ticked up greatly after an interview was published in the glossy Condé Nast ‘Brides’ magazine – the world’s best selling bridal title (see Gallery to read the interview).